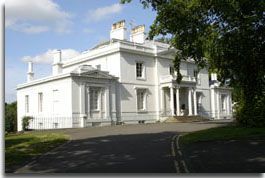 Annanhill House is a mansion at the centre of Annanhill Estate on the west side of Kilmarnock. This house was probably built for James Dunlop in the early 1800s. Information on the history of Annanhill House and its owners seems elusive. 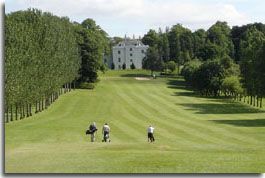 The grounds of Annanhill have been converted to a town park and golf course. Annanhill House itself once served as the clubhouse for the golf course. The house has recently been converted into apartments. Some of the apartments have fantastic views over the fifth hole of the golf course, as seen above.